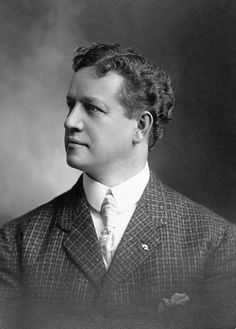 Today in Masonic History Charles Hercules Ebbets, Sr.	passes away in 1925. Charles Hercules Ebbets, Sr. was a baseball team owner. Ebbets was born on October 29th, 1859 in New York City, New York. He attended local public school before holding a variety of jobs including working at a publishing firm, working as an architect and later a bookkeeper. In 1883, Ebbets brother, Jack, introduced Ebbets to some of his friends who had formed the Brooklyn Base Ball Association. Ebbets got a job doing a variety of tasks for the team including selling tickets, score cards and selling peanuts. He printed the score cards himself that he sold. Three days after the article ran the President of the club and the remaining 20% owner in the club, Charles H. Byrne, passed away. With a few days Ebbets was made President of the club. One of the first things he did as the team President was look into moving the team to a new stadium. The existing stadium, Ebbets felt, was not up to the kind of baseball Ebbets envisioned. It was made of wood making it susceptible to fire and required more maintenance. Ebbets began quietly buying up land in a part of Brooklyn known as Pigtown. It took several years to buy up enough land and Ebbets ended up selling part of his ownership in the team to get the $750,000 he needed to build the new stadium. Ebbets had hoped that the team would win a pennant in the new stadium. Unfortunately he would not live to see that occur. Ebbets passed away on April 18th, 1925. The Dodgers would not win a Pennant until 1955, just before they moved to Los Angeles. Ebbets had a brief political career as well spanning eight years. He held a variety of local and state offices. Ebbets was a member of Greenwood Lodge No. 569 in New York City, New York.